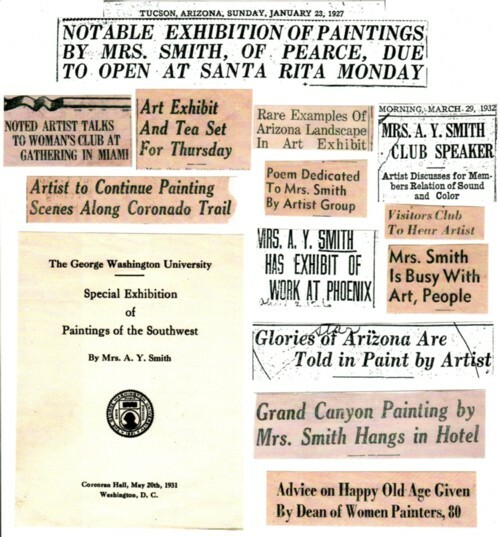 The E. A. Smith Archive contains a collection of notices from newspapers and magazines, including reviews of Effie's (Mrs. A. Y. Smith) art shows, critiques of her art works, and quotes of the artist from various interviews and speaking engagements. 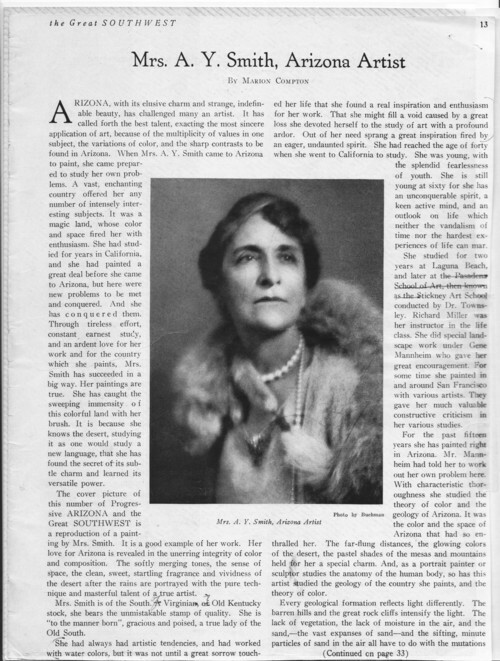 These items, primarily from the artist's papers, date from the mid-1920's through Effie's 80th birthday in 1949, as she visited communities small and large across Arizona and exhibited in major eastern cities. 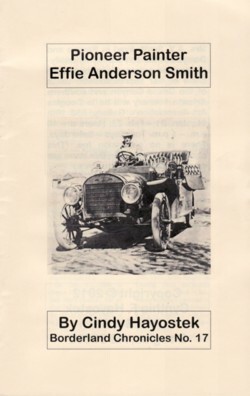 Study copies of these resources are available for your educational and research purposes. For more information, please contact us. please see her BIO page.